aims of the SEIP project is to demonstrate that the pollution caused by municipal wastewater and industrial effluent can be reduced by efficient management of wastewater and functionality of treatment plants. Digital Information Systems: The Industrial Estates Digital Information System (DIS) captures, stores, analyses, manages and presents all relevant spatial and attribute data for the industrial areas on one single platform. GIS (Geographic Information System) software is used to set up this platform along with the required computer hardware, software and trained manpower. 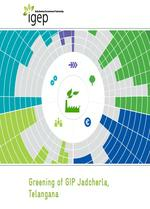 The Industrial Estate Digital Information System (DIS) uses the “Sustainability Standards for Industrial Parks” developed by GIZ as benchmarks for gathering and storing information. Growth in the industrial sector is one of the key aspects that affect the development of a country.The government of India has the vision to enhance the manufacturing sector’s contribution to the GrossDomestic Product to 25 percent and to create 100million jobs over the course of a decade. Currently, there are nearly 3,000 designated industrial zones in India, some of which are very large, such as the industrial corridors, investment regions, and manufacturing zones. A well planned and organised industrial area, defined by the set of quality parameters such as economic quality, environmental quality and social quality, is an answer to sustainability. These criteria and quality parameters are referred to as Sustainability Standards. 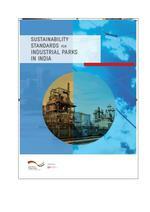 Lack of uniform site master planning procedures and processes for industrial areas in India is a key challenge. A well planned and organised industrial area, defined by a set of quality parameters such as economic quality, environmental quality, and social quality, could be an answer to sustainability. 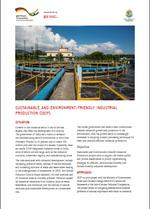 These guidelines would support planners and decision-makers to enable industries to strive for efficiencies and profitability, reduced environmental litigation risks and improved market image as well as public image. This publication outlines a common framework for EIP implementation. 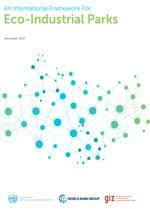 In this context, the United Nations Industrial Development Organization (UNIDO), the World Bank Group and the Deutsche Gesellschaft für Internationale Zusammenarbeit GmbH (German Development Cooperation) (GIZ) intend to use this framework as a baseline across all of their initiatives in partner countries. Considering the immediate needs of capacity development in the segment of unskilled/semi-skilled workers in CETPs and ETPs, GIZ's SEIP project has initiated actions for introducing a system of skills development for the technicians and helpers of CETPs and ETPs in cooperation with SCGJ. 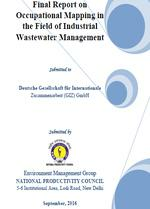 This report is an outcome of a comprehensive study of occupational mapping of industrial wastewater treatment in India. 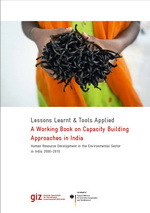 Findings of this study shall lead to bringing up a system of skill development for the workers if the industrial waste water treatment sector in India. 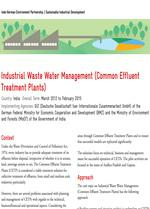 The IGEP Programme, which is implemented jointly by the Ministry of Environment and Forests (MoEF) of the Government of India and GIZ has “Common Effluent Treatment Plants” as one of the core topics. The overall objective of the technical cooperation on this core topic is, “To demonstrate innovative and financially sustainable solutions for Common Effluent Treatment Plants (CETPs) for wastewater treatment”. 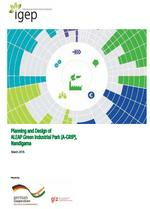 This document showcases the successful case examples of site master planning and retrofitting of industrial parks that was taken up on pilot basis under the IGEP Programme. 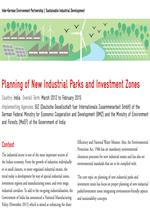 It provides a framework for Quality Parameters and “Green” criteria for environment-friendly planning of industrial parks, guidelines for siting of Green Industrial Parks/Estates for replicability. Under IGEP Programme, GIZ provided technical support to the Association of Lady Entrepreneurs of Andhra Pradesh (ALEAP) for site master planning of the Green Industrial Park (GRIP) project at Nandigama catering to women entrepreneurs. Several aspects of environment sustainability, entrepreneurship opportunities and gender aspects were integrated into to the planning of the industrial park using the benchmarks set by the German Sustainable Building Council (DGNB). The site master plan achieved potential ‘Gold’ rating in preliminary assessment from DGNB Auditors. Under IGEP Programme, GIZ provided technical support to the Telangana State Industrial Infrastructure Corporation (TSIIC) for site master planning of the Green Industrial Park (GRIP) project at Jadcherla. This encompassed an in-depth study of partially developed GIP Jadcherla and strategy to make it ‘Green; through replanning and provision of necessary infrastructure. Various thematic maps were generated pragmatically for showcasing the zoning, optimal land use, hierarchical circulation pattern, environmental infrastructure, technical infrastructure as well as social infrastructure. 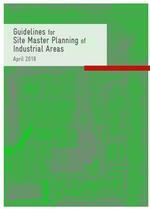 The site master plan achieved potential ‘Silver’ rating in preliminary assessment from DGNB Auditors. 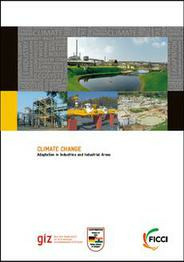 This document puts together the pilot work undertaken for the waste paper based paper industries in Gujarat under “Environment Friendly Techniques in Identified Industry Sectors” topic of IGEP. The BREF document was referred to check for potential solutions for the identified problems in the pulp & paper industries. 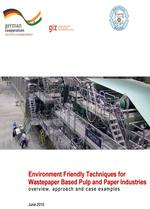 These may be useful to any other pulp & paper industry in the country for general reference. 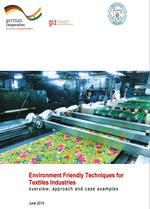 This document showcases the pilot work undertaken for the textile industries in Gujarat under “Environment Friendly Techniques in Identified Industry Sectors” topic of IGEP. A spectrum of possible solutions was identified against the environmental issues and after consultation with industry experts, technology supplier and consultants few solutions were zeroed in for pilot testing. 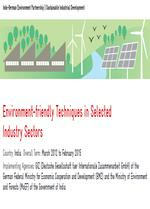 Sectors” is that the use of environment-friendly technologies and techniques is promoted in selected industry sectors, particularly from Small and Medium Enterprises (SMEs). This core topic has focus on textiles, and pulp and paper sectors. While many businesses are already taking action to mitigate climate change by reducing their carbon footprints, much less has been done by Micro, Small and Medium Enterprises (MSMEs). This publication presents a snapshot of information for the benefit of MSMEs and gives useful insights to plan and implement appropriate and mutually reinforcing adaptation strategies relevant for improved infrastructure and management of industrial estates. 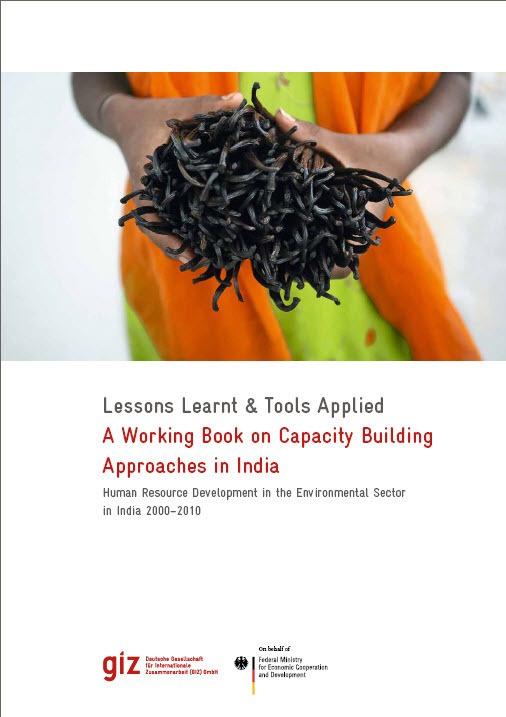 With reference to the emerging trends in the world, it also provides a framework of adaptation for the benefit of industrialists in India. 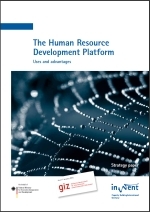 The Human Resource Development (HRD) platform is a webbased system with tools to support the planning, implementation, delivery and monitoring of large-scale capacity development programmes. 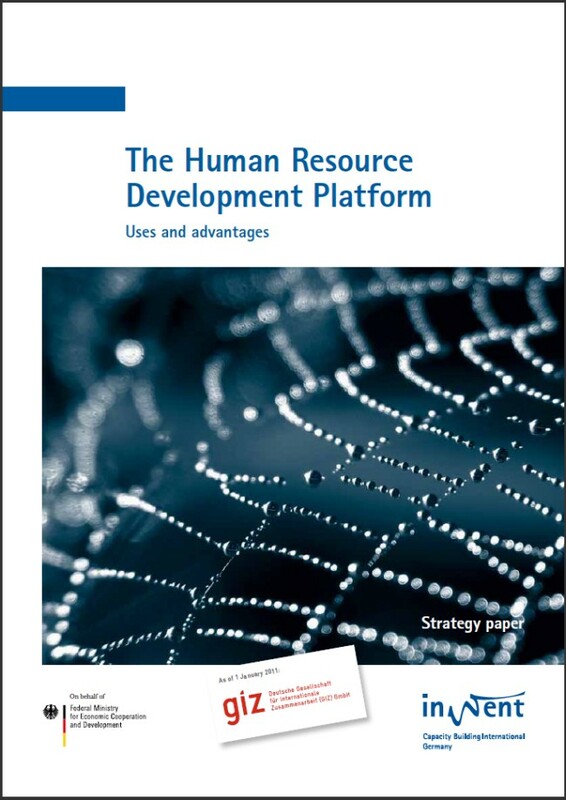 Staff at a key training institution use the HRD platform to manage their programmes. GIZ offers an additional institutional development service package to complement the HRD platform and foster smooth implementation. This package includes staff trainings and advisory services in the areas of quality control, workflow design and capacity building management.